There are 40 million households in Germany, more than 38 percent of which have pets. The majority of them live with families. But the popular "roommates" also live in a quarter of single households. Almost 20 percent of all pet owners even live with two or more animals under one roof. Whether dogs, cats, rodents, birds or exotic animals, all want to be supplied in the best way. Vitakraft pet care has around 1,600 employees working on this. A large central warehouse in Bremen and a national field service team serve the market. 44 district sales managers take care of around 5,000 customers in food retailing and specialised trade. Their aim is to sell over 2,000 Vitakraft products. Whether it's a specialist retailer or a large supermarket, a good visit coverage must be guaranteed. Dennis Tusche, National Sales Manager at Vitakraft pet care, is clear: "You can no longer plan and organise something like this manually. We needed a professional system to optimise structure, coverage and utilisation." The PTV Group's geomanagement solution already convinced us after the first exemplary area and route check for only four field service employees: Newly adapted area boundaries saved 12,000 kilometres of driving per year and resulted in almost 140 hours more time for our customers. At the same time, the total workload of the four employees fell by two percent. For the whole of Germany, this resulted in more than 1,500 hours more time and over 132,000 kilometers less driving distance per year. After these results and another evaluation workshop, the decision to purchase the premium solution from PTV Map&Market was very easy. The sales manager confirms: "There aren't that many good vendors that cover all our requirements. And our requirements are high", Tusche knows, "we also have to be able to map different visit rhythms for the different customer categories". In the first step, the national sales force structure was optimised. All necessary data was imported from the company's SAP ERP system directly into PTV Map&Market. On this basis, the system was able to cluster and structure the sales territories in a logical and effective manner. "The consulting and training by the PTV specialists on site was both decisive and very constructive," says Tusche. "We were very well supported by PTV during the system rollout. The right parameter settings for customers and field staff could be found at the touch of a button. The result: strategic planning of optimised tours for all sales representatives. Tusche is satisfied: "The route plan takes into account the different visit frequencies. At the same time, the coverage of visits remains good and our sales representatives are working at the same level of capacity". The solution has also met with great acceptance among employees: planning is based on where they live. "Of course, this also boosts motivation," adds Tusche. In the end, the national sales manager can be pleased about many positive developments: "The use of the professional geomanagement software enabled large savings. This starts with the optimisation of the sales force. At the same time, the proportion of travel time could be reduced from 55 to 38 percent, i.e. by 17 percent! This simply results in more time for the customer, less stress for the sales force and lower costs for the company". Even without active planning, Vitakraft benefits from the PTV solution: At regular intervals, the company purchases services for updating sales territories and routes. Tusche sums up: "We have managed to form an optimal national team and a standardised structure. Both the company management and the employees are very satisfied with the solution. 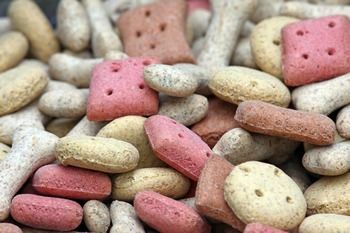 What began almost 180 years ago as a small pet food store in Heiligenrode near Bremen has developed into one of the most successful companies in the pet industry. "Out of love" is the guiding principle of the company's philosophy and actions. Around 1,600 employees worldwide ensure that over 2,000 Vitakraft® products are produced and sold to more than 5,000 trade partners in over 50,000 offices.